Vidus DVD Creator 1.0 war am 18. Januar 2019! als Giveaway verfügbar! Ein Experte für DVD-Erstellung, der euch dabei hilft, alle möglichen Videos auf DVD zu brennen und eure eigene Wiedergabeliste zu erstellen. Brennt alle Arten von Videos auf DVD: Heruntergeladene Videos, Camcorder-Videos und von anderen freigegebene Videos. Zu den unterstützten Formaten gehören MKV, MP4, AVI, M2TS, TS, MOV, WMV, WMA, 3GP, FLV, M4V, VOB usw. Die unterstützten DVD-Disc-Formate: DVD9, DVD5, DVD + R / RW, DVD-R / RW, DVD + R DL und DVD-R DL. Vidus DVD Creator bietet verschiedene integrierte Menüvorlagen, mit denen ihr Hintergrundbilder, Schriftarten, Schaltflächen und Widgets ändern könnt, um eure selbst gemachten DVDs zu personalisieren. Außerdem könnt ihr den Videos externe Untertitel hinzufügen. mit Ihrem aktuellen Betriebssystem kompatibel ist." Als Benutzer von Windows XP SP3 bekomme ich die höfliche Meldung: "Entschuldigung, dass das Installationsprogramm nicht mit Ihrem aktuellen Betriebssystem kompatibel ist." I do believe that this site is for evaluating software. When a software is released, it is always in the beginning phase and needs touches here and there to enhance/improve it. And this is achieved through user feedback. The site is also an ideal platform to advertise the company and its products. #3 Julio I do believe that this site is for evaluating software. When a software is released, it is always in the beginning phase and needs touches here and there to enhance/improve it. And this is achieved through user feedback. The site is also an ideal platform to advertise the company and its products. Zwar ist das DVD-Creator Modul lebenslang aktiviert, aber die restlichen drei Module (Copy, Ripper, Converter) der Suite sind nicht wirklich nutzbare Trial-Versionen. Der Zukauf würde mit Rabatt wohl noch teurer werden, als 50$ für das Komplettpaket. Viel Geld für ein überholtes Format in einer Zeit der HD-Formate und von Codecs, die wesentlich leistungsfähiger und Speicher sparender sind als MPEG 2. Has anyone ever heard of them? I tried looking online for them, they don’t seem to come up. But everyone else does, wonderfox, dvdfab etc. For those who managed to install, how well does it work? I find it interesting that despite the complaints, it still has more thumbs up right away than down. Thanks for information before I try. Harleycat , this looks like either a rebrand from DVDFab or a sister product, even the registration procedure is the same and there are files named "Fab..." in the installation or have the same logo like DVDFab products and it also connects to DVDFab specific sites on startup or during authorization over the internet. When you 1st run Vidus DVD Creator 10, it shows a window where you can select to run the trial or activate one of the modules -- it contacts the company's servers either way, and that may be blocked by your security software. BitDefender reports an "unmatching security certificate to www.aolplatforms.com" -- other security software may not mind, may report it differently, or block it silently without notification. If the app is not allowed to connect it throws an error, asks if you want to restart the app, & won't go further until it can connect. After installing Vidus DVD Creator 10 the dialog said that I needed to restart Windows. There are no drivers or services added that would need a Windows restart -- as the added registry entries include DVDFab 9 & 10, I suspect that the restart is required by part of the software DRM that DVDFab software used with previous versions of the software [current versions log into your account]. 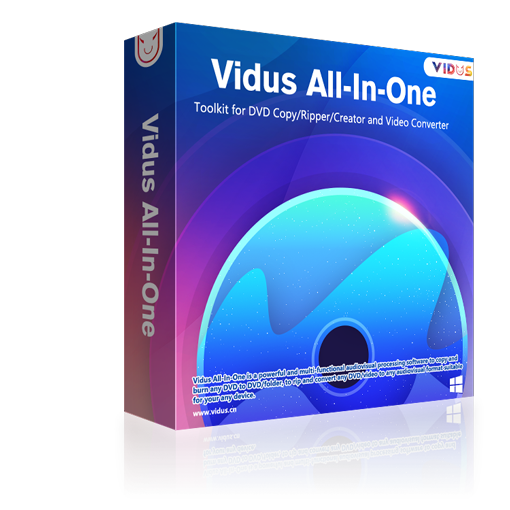 Vidus DVD Creator 10 is part of an all-in-one suite, where you activate the modules you want to use -- initially they're available as trials. Installation isn't terrible -- 1130 files & 153 registry entries added -- but is spread across several folders... Besides the program's Vidus 1.0 folder, boost_interprocess is added to ProgramData, a Vidus folder & 3 CLSID-type named files are added to Users\ [UserName]\ AppData\ Roaming\ , and a Vidus folder is added to My Documents. You will probably want to run the installation & software as admin to avoid Windows using Virtual Store in the registry, but it's not critical. The Vidus app uses ffmpeg, QT, & probably DVD Author code libraries. Using ffmpeg means reliably working with lots of video formats, but it includes a poor mpg2 encoder -- while it'll work to get you the mpg2 files you need for a video DVD, they won't be close to optimal in terms of size or quality. The open source DVD Author project was/is designed to get around expensive licensing requirements, and is based on reverse engineering the video DVD specs. It works, though it may not be as compatible with every DVD player as alternatives made by companies paying those license fees. 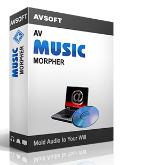 Some paid DVD authoring apps will also let you do LOTS more than DVD Author, letting you use advanced features on the DVDs you create. When you 1st run Vidus DVD Creator 10, it shows a window where you can select to run the trial or activate one of the modules -- it contacts the company's servers either way, and that may be blocked by your security software. BitDefender reports an "unmatching security certificate to www.aolplatforms.com" -- other security software may not mind, may report it differently, or block it silently without notification. If the app is not allowed to connect it throws an error, asks if you want to restart the app, & won't go further until it can connect. After installing Vidus DVD Creator 10 the dialog said that I needed to restart Windows. There are no drivers or services added that would need a Windows restart -- as the added registry entries include DVDFab 9 & 10, I suspect that the restart is required by part of the software DRM that DVDFab software used with previous versions of the software [current versions log into your account]. Vidus DVD Creator 10 is part of an all-in-one suite, where you activate the modules you want to use -- initially they're available as trials. Installation isn't terrible -- 1130 files & 153 registry entries added -- but is spread across several folders... Besides the program's Vidus 1.0 folder, boost_interprocess is added to ProgramData, a Vidus folder & 3 CLSID-type named files are added to Users\ [UserName]\ AppData\ Roaming\ , and a Vidus folder is added to My Documents. You will probably want to run the installation & software as admin to avoid Windows using Virtual Store in the registry, but it's not critical. The Vidus app uses ffmpeg, QT, & probably DVD Author code libraries. Using ffmpeg means reliably working with lots of video formats, but it includes a poor mpg2 encoder -- while it'll work to get you the mpg2 files you need for a video DVD, they won't be close to optimal in terms of size or quality. The open source DVD Author project was/is designed to get around expensive licensing requirements, and is based on reverse engineering the video DVD specs. It works, though it may not be as compatible with every DVD player as alternatives made by companies paying those license fees. Some paid DVD authoring apps will also let you do LOTS more than DVD Author, letting you use advanced features on the DVDs you create. So what about the product and how it works? Everybody is too busy chastising. Is that what this site is for, or is it for evaluating software? No need for rude remarks I think we're all here to help each other? "So what about the product and how it works?" It really depends on the results you're after. If you want to just slap some video on a DVD that'll work in DVD players, Vidus should work for you just fine. too often the "original" prices - announced by Gotd - are wrong, often only mere fantasy! $29,95 - not 39,95... beside that I personally don´t need such a tool: too often the "original" prices - announced by Gotd - are wrong, often only mere fantasy! the noted price is the correct one for the lifetime license. $29.95 is for the one year. Please pay more attention to the info on the company site. Bongleton, I agree. Good manners cost nothing. Helen is absolutely right about the price, but it's a bit rude to chastise wosa for quoting the price that hits you when you go to the website. Only if you click on the buy now box do you discover that the 29.95 tag is only for one year. (And why do that when you can get it today for free?) Bongleton, I agree. Good manners cost nothing.